Safety is the number one priority when it comes to riding a motorcycle - there’s no ifs, ands, or buts about it. We all love the freedom and excitement that comes with riding, but it’s important to be responsible and cautious on the road, especially if you are new to riding. Here are a few of our safety tips that all new riders, heck any rider, should know before getting on a bike. ALWAYS Wear a Helmet - This may sound like a no brainer (no pun intended), but wearing a helmet is crucial when riding a motorcycle. Helmets can protect you from serious head injuries in the event of a collision. No matter your state laws, we highly recommend investing in a high-quality helmet to protect that noggin while riding. Wear Proper Gear - Along with a helmet, we suggest purchasing motorcycle safety gear. A few staples are neck and back protectors, armored motorcycle jackets, protective eyewear, and boots. Check out our blog post on safety gear here. 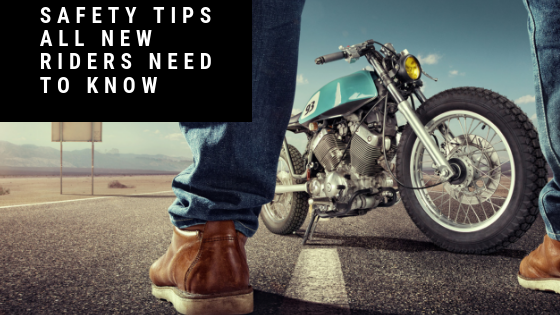 Take a Safety Course - Whether you’re a new rider or a seasoned veteran, it’s a great idea to take a motorcycle safety course. There are always new things to learn, so don’t make the mistake of thinking you know it all. The Motorcycle Safety Foundation (MSF) offers great classes for both new and veteran riders to learn new skills or sharpen the skills you already have. Invest in Anti-Lock Brakes - Anti-lock brakes are available on a wide variety of models and can help you retain steering control in the event of an emergency stop. They are also a great feature to have while riding in slippery conditions. 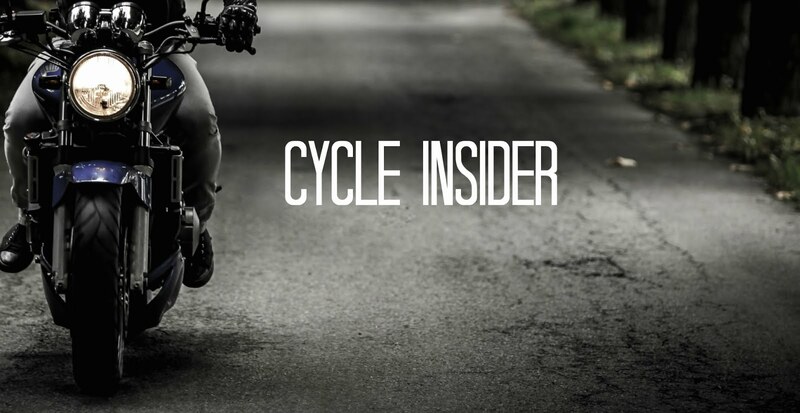 Know Your Personal Riding Skill and Ability Level - If you’re new on the road, take it slow and know the routes you’re taking. Tight turns can be fun for advanced riders, but you’ll want to adjust your speed and routes depending on your ability level. Keep it simple and don’t bite off more than you can chew as you get going. Get Regular Inspections - Before each ride, you’ll want to walk the perimeter of your bike to make sure everything is in good working order; and don’t forget, you still need to take your bike in for regular inspections and maintenance to make sure your bike is in tip-top shape. Check the Weather Before You Ride - Before every ride we suggest checking the weather report. Rain reduces visibility and makes for slippery conditions while riding - something you want to avoid. Know the Rules of the Road and Respect Them - Take notice of speed limits, and make sure to follow them. You’ll also want to familiarize yourself with any local traffic laws in your area so nothing comes as a surprise to you down the road. If you’re riding out of your local area, check out state motorcycle laws wherever you plan on traveling; we’re always surprised how much they can change state-to-state. Never Drive Under the Influence - This should go without saying, but we’re going to say it - NEVER drive under the influence of drugs or alcohol. The last thing you want is to hurt others or yourself while riding. Ride Defensively - As much as we’d like them to, cars don’t always look twice before making a turn or switching lanes - so, as a motorcyclist, it’s important to ride defensively. Make your presence known to other drivers by turning on your headlights and avoiding being in anyone’s blind spots as much as possible. Let’s be clear, riding a motorcycle is one of the best feelings in the world and we welcome new riders with open arms. But at the same time, we want to make sure you’re being safe out on the road. We hope you’ll think about these safety tips the next time you take your bike for a ride. Do you have any safety tips you swear by? Let us know in the comments below. While its good to be mindful of the weather forecast, its better to invest in all-weather gear. I wear topnotch gear (Tourmaster Element jacket and pants, Sidi boots and BMW gloves) and never worry about getting caught in the rain. I commute everyday, year-round to work so I have to be ready for anything as forecasts are often wrong. And always remember the dreaded left turn,someone coming toward you that will turn right in front you,on there phone,A lot of bikers dye because of this every year,so sad. I agree... note ‘die’ not ‘dye’. I’m just saying. I always take all measures to protect myself when participating in a motorbike!